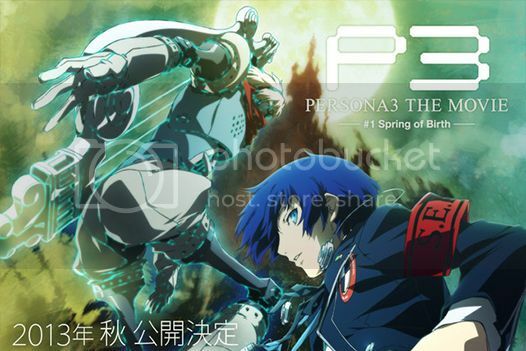 Persona 3 The Movie #1 Spring of Birth will open this fall in Japanese theaters. A promo video and the cast/crew of the film have been revealed! Noriaki Akitaya (Bakuman) is directing the first film with Seiji Kishi (Persona 4 The Animation, Devil Survivor 2 The Animation, Angel Beats!) supervising. Jun Kumagai (Aura: Maryūinkōga Saigo no Tatakai, episodes of Persona 4 The Animation) wrote the screenplay, and Keisuke Watabe (Crest of the Stars, Banner of the Stars) is serving as character designer and animation director. Shoji Meguro (Persona 4 The Animation) is composing the music.